Looking for a day of fun for the whole family? Dutch Wonderland is filled with many different family attractions. Throughout the season, the park offers many family fun events. Check out our annual passes to make the most of your summer, now available with exclusive renewal rates for 2018 passholders! Enjoy unlimited admission all year long at four of Pennsylvania's best amusement parks! The NEW Pennsylvania Four-Park Pass gets you into Kennywood, Idlewild and SoakZone, Sandcastle, and Dutch Wonderland for an entire calendar year - including fall and winter holiday events! 20% off Old Mill Stream Campground sites. Reservations are required. Subject to availability. Excludes cabin rentals. Must show valid Season Pass at time of reservation. Discount cannot be combined with other discounts or offers. 15% OFF select food and beverage items & merchandise. Not valid on sale items, select vendors, Birthday Parties, Character Breakfasts, Strollers, Wheelchair & ECV Rentals, Cabana Rentals, and Gem Mine. Pass is valid for unlimited visits during the 2019 Summer Season! Unlimited use of rides and shows during the Dutch Wonderland regular summer public operating season. Rides and shows subject to availability. Pass is valid for unlimited visits during Happy Hauntings in 2019. Unlimited use of rides and shows during Happy Hauntings. Rides and shows subject to availability. Pass is valid for unlimited visits during Dutch Winter Wonderland in 2019. Unlimited use of rides and shows during Dutch Winter Wonderland. Rides and shows subject to availability. Receive $10 off full-priced one-day admission at Hersheypark upon presentation of valid season pass at time of purchase. Valid for passholder only during the regular summer operating season (May-Sept.). Not valid with other discounts or admission plans. Bring A Friend Discount is valid on one-day admission during the operating season. Must show valid pass at time of purchase. Not valid in combination with any other discounts or admission plans. Free General Parking at Dutch Wonderland with a valid season pass, presented at the parking booth. Valid for preferred parking, when available. 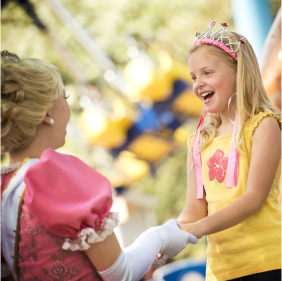 Enjoy exclusive Season Passholder events during the summer season! Receive a souvenir cup with each pass purchased. Souvenir cup valid for $0.99 refills during valid operating season. Receive a souvenir cup with each pass purchased. Souvenir cup valid for $0.99 refills during valid summer operating season. The All Season Dining Pass allows a Season Passholder to redeem their pass at participating locations throughout the park for 2 Combo Meals EVERY visit! Enjoy 1 lunch and 1 dinner plus 1 snack each visit during the 2019 Summer Season. Just a 4 hour interval between meals. Valid on any Regular Operating Day. Meal options and food locations subject to change. Dining pass valid April 27, 2019 through October 13, 2019. 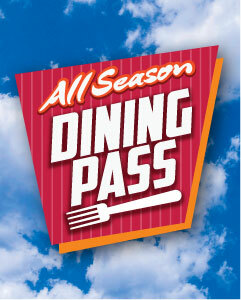 The All Season Dining Pass does not include admission to the park. Enjoy two parks for one low price! This combo gives you unlimited access to both Dutch Wonderland and Hersheypark during operating dates of the 2019 season. Already A Season Passholder? Click here to view your benefits and discounts.